Large split level fixer upper home in desirable Crescents area, close to Duchess Park and University Hospital of Northern BC. Three spacious bedrooms up with a full bath. 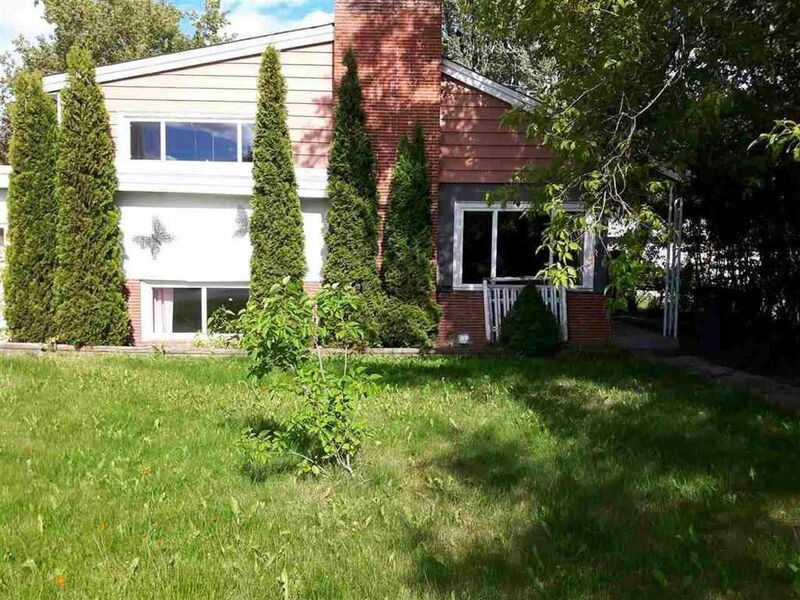 Large open concept living room, dining rm and kitchen with a built-in dishwasher and boot rm leading to a large fully fenced backyard with mature apple trees and a parking pad with alley access. Full basement with laundry, storage, utility rm and full bathroom. Home has separate 1 bedroom suite with full bath and separate hydro meter. Attached garage. This home has huge potential for the right buyer. List well under both assessment and market value to help with buyer budget for renovations. Make this your dream home. All measurements are approximate, and buyer to verify if deemed to be important.